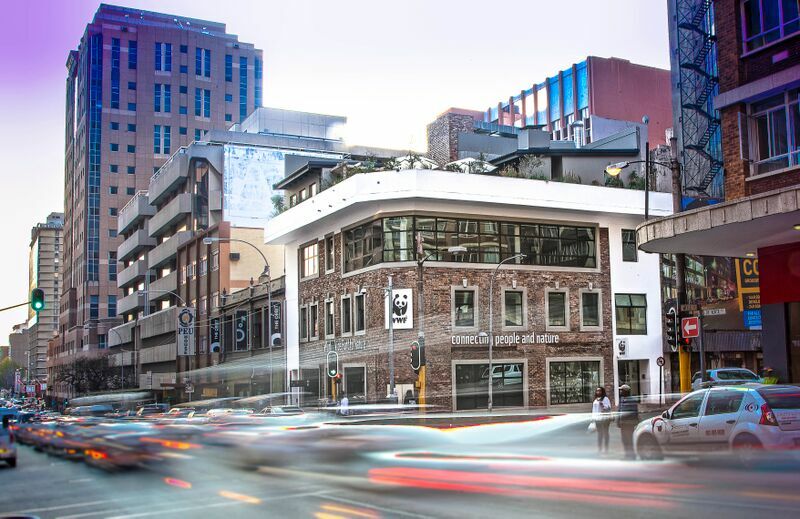 The environmentally-conscious mantra of 'Reduce Reuse Recycle' describes the WWF South Africa’s newly refurbished building in the suburban hub of Braamfontein. The building has earned its ‘green’ stripes through recycling and in doing so has achieved 6-star Green Star status, the highest level of recognition from the Green Building Council of South Africa (GBCSA). From the brickwork, timber and rubble to the metal pipework, every element has been considered. The original building was taken down brick by brick to retain as much as possible. The WWf SA office is the first retrofitted building in the country to receive a 6-star rating., with every effort being made to design intelligently for optimal sustainability, salvage and reuse materials that are still sound, and to dispose of any unusable materials in a responsible way. The Green Building Council defines such a status as 'world leadership' in sustainability. The objectives of Green Star SA tools are to establish a common language and standard of measurement for green buildings, promote integrated, whole-building design, raise awareness of the benefits of green building, recognise environmental leadership and reduce the environmental impact of development. 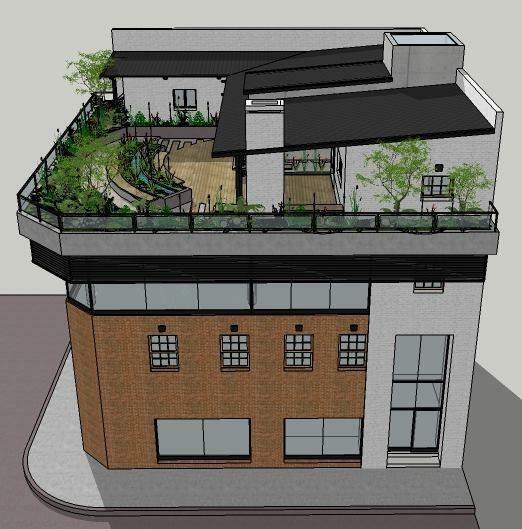 "We were able to re-used 80% the original building materials in the re-design and incorporated natural ventilation, a closed water recycling system, light-sensitive blinds, various insulation solutions and an indigenous rooftop garden with water-efficient plants that are watered by rainwater."